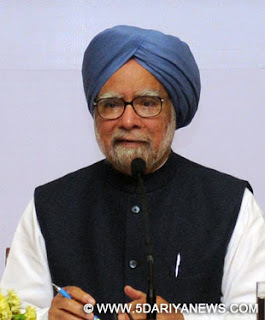 Former prime minister Manmohan Singh on Friday said the country is deeply concerned at the "blatant violation" of right to freedom of thought, belief and speech and termed such incidents as an "assault to nation". "The assault or murder of thinkers for their disagreement in views cannot be justified on any ground. All right thinking people have condemned such incidents in strongest term. It is an assault to nation," he said.Singh was speaking at the inaugural session of the national conference on "No peace without freedom, No freedom without peace: Securing Nehru's vision and India's future" to celebrate of the 125th birth anniversary of former prime minister Jawaharlal Nehru. "The nation is deeply concerned at the recent tragic incidents of the blatant violation of the right to freedom of thought, belief, speech and expression in our country by some violent extremist groups," Singh said.Suppression of dissent poses "great danger to economic development of India amid protests over rising intolerance", he added. "There can be no free market without freedom," Singh said.